Simple is good – reuse too. Single use, typically for both weapon and shooter. Letting a tank approach to 100 yards and then generate a huge cloud when firing draws a lot of counterfire. According to U.S. WW2 analysis the average distance for a Panzerfaust/Panzerschreck engagement against a U.S. tank was 40 yards. Closer than that. The numbers attached to the Panzerfaust’s name indicated its effective range in meters. PzF 30= 30 meters (about 100 feet). PzF 60= 60 meters (about 200 feet). The 8.8cm Panzerschreck had an effective range of about 150 meters vs. a moving target. The U.S. 2.36in “Bazooka” was useful to 300 yards against a moving target (tank) or about twice that against a pillbox, etc., with a 70% first-shot hit probability at the longer range and assuming the shooter was good at judging crosswind, etc. In short, the Wehrmacht’s light anti-tank weapons required their soldiers to get a lot closer to the target than their Allied “opposite numbers” did. In relatively open country as shown here, that was nearly suicidal. In the confines of a town, Allied armored units learned the hard way never to move through a built-up area until it had first been thoroughly “deloused” by dismount infantry. Even the Panzerfaust 30 was a lethal threat when it could literally be fired into the side of a Sherman from under twenty feet away. Remember that hand-held AT weapons aswell AT rifles were last ditch weapons, used when field artillery and AT artillery fails to stop enemy tanks. Notice that Germans developed AT pistol – Sturmpistole firing HEAT rounds, I doubt in its effective (how thick steel plate it can pierce? accuracy?) – does you have any sources about usage of that Sturmpistole. The outsized warhead AT grenade was basically identical to that for the Kar98 launcher, but only had about half the range due to the necessity of not breaking the shooter’s shoulder with recoil. That’s probably one of the benefits of a remote turret, like on the new Russian tank given the capabilities of the Javelin. Better than the Rpg43 grenade, with one trying to throw it so it lands on top of the turret just as it explodes. 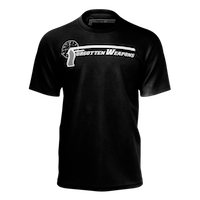 This is better, shoot the “grenade” at the tank… https://en.m.wikipedia.org/wiki/Panzerfaust says on there the Russians made a Rpg2 as a inpired development of the tank fist lark, there’s a picture of a T34 blown up as relevant on that link ouch. 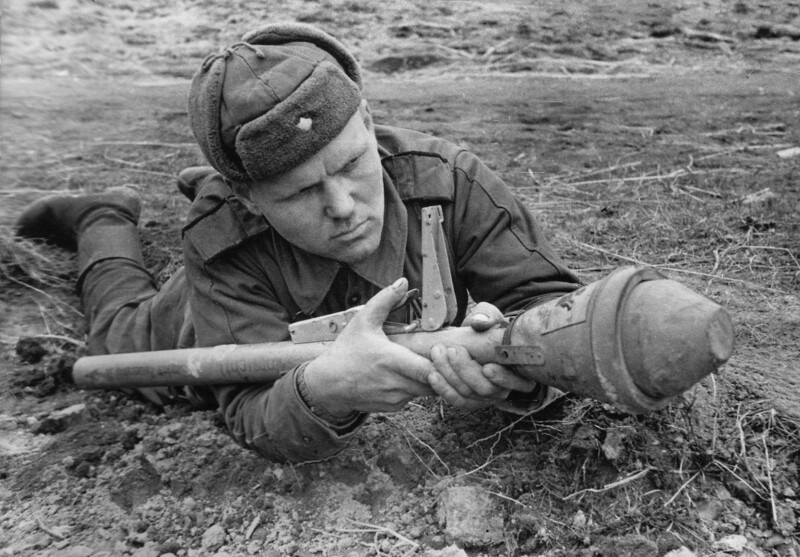 Before Panzerfaust German forces used Hafthohlladung. It has to been manually placed onto enemy tank. We used sticky grenades I think, which stuck to the tank with glue presumably prior to them detonating. Hmmm, you imagine it having problems sticking to things just because of the nature of glue I mean it doesn’t stick entirely straight away type thing… Particularly with resistance e.g. Weight, even on clean/dry surfaces. But the “bomb” was that which was required, so it wasn’t a bad idea as such just somewhat impractical in regards the sticking. Without it sticking, or it sticking a bit it’s sort of equivalent to the Rpg43 grenade. The Piat was the next logical development really, shooting said bomb at the target. 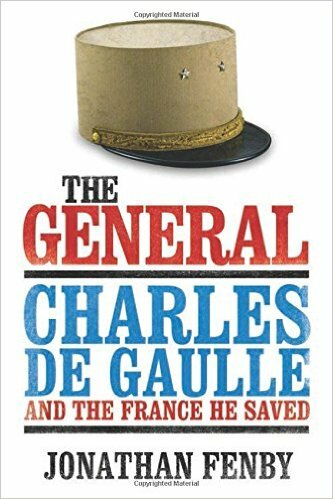 That shaped charge was a clever development, who came up with that. A molten jet of copper isn’t it, quite a departure from a solid bullet made from something harder than lead being fired as per from a gun. When did they invent welding, was it something to do with that… Hot metal like, I know it’s explosive which causes the copper cone thing to melt and get blasted out. But the armour metal being meltable by hot metal I mean, the principal like in regards welding. The Munroe or Neumann effect is the focusing of blast energy by a hollow or void cut on a surface of an explosive. The earliest mention of hollow charges occurred in 1792. Franz Xaver von Baader (1765–1841) was a German mining engineer at that time; in a mining journal, he advocated a conical space at the forward end of a blasting charge to increase the explosive’s effect and thereby save powder. The idea was adopted, for a time, in Norway and in the mines of the Harz mountains of Germany, although the only available explosive at the time was gunpowder, which is not a high explosive and hence incapable of producing the shock wave that the shaped-charge effect requires. The first true hollow charge effect was achieved in 1883 by Max von Foerster (1845–1905), chief of the nitrocellulose factory of Wolff & Co. in Walsrode, Germany. By 1886, Gustav Bloem of Düsseldorf, Germany had obtained U.S. Patent 342,423 for hemispherical cavity metal detonators to concentrate the effect of the explosion in an axial direction. It must be noted that Dr. Munroe apparently was unaware of previous work in this area; his discovery was, as shown above, basically an accident. My Dad learned to use sticky bombs while he was a member of the Home Guard so by that time I suspect they were second-line weapons. The glue was, apparently, VERY sticky – they called it bird lime. It was sticky enough that the bombs were served by a two-man team, the second of whom was issued with a pair of scissors. Occasionally in his enthusiasm the No.1 would get the sticky bomb stuck to his back while trying to get a good swing onto the target. It was then the No2’s job to cut the bomb away from the jacket with the scissors. He first told me this story in the 1960’s when I was a teenager and couldn’t understand why I was killing myself laughing at it. Interesting stuff, cheers. Panzerknacker, he he. 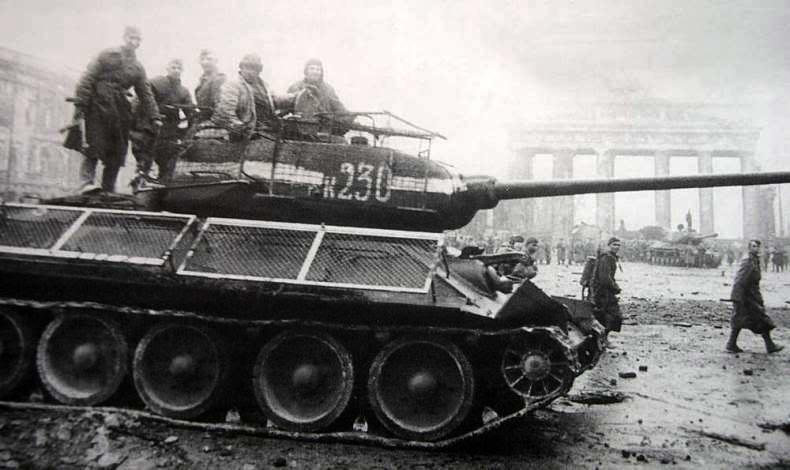 The Soviet’s captured thousands of those during and after Bagration (the campaign known as The Destruction of Army Group Center) and issued them to special assault troops and the elite recon units till the end of the war. Soviet Union used also American Bazookas from Lend-Lease. The 8.8cm Panzerschreck had its beginnings when Wehrmacht units on the Ostfront captured early-production Bazookas from Red Army units in late 1942. The Panzerschreck had shorter range, but made up for it by having greater armor penetration than the smaller (6 cm) Bazooka warhead. Source; Ley, Willy. Rockets, Missiles, And Space Travel. New York; Viking Press, 1954. How effective is a stuffed suitcase against APHE munitions? You’d have to ensure you throw the suitcase so the rocket hits it head on as the stuffed suitcase is falling or as it rising, detonating the warhead prior to it hitting your APC… It would probably take some practice, to become proficient. Uh, the suitcase was sitting between the auxiliary armor and the tank’s main armor plate. Nobody foresaw the warhead hitting that spot so everyone was surprised. Later the hero tries to shoot a Su-76 with the tank’s main gun and misses, hitting a tree that subsequently falls on the enemy tank destroyer (ouch!). Strange, isn’t it? The whole point of the Schurzen was to detonate a hollow-charge warhead before it hit the main armor. By effectively increasing its “stand-off” distance, it ensured that the “jet” would have already begun to disperse before hitting the actual hull. U.S. and British tankers did the same thing with sandbags or even pieces of log attached to the side armor of the Sherman. Often field depots built racks of angle iron and “chicken wire” (lightweight fencing) to hold the sandbags and keep them from sliding off. General Patton was opposed to this because the extra weight of the sandbags caused excessive wear on the Vertical Volute Spring Suspension (VVSS)of the early to mid-production Shermans. The late production M4A3E8 models with the heavy-duty Horizontal Volute Spring Suspension (HVSS) handled the extra weight with less trouble. These were again angle-iron frames with “chicken wire” in them. As with the Schurzen and U.S./British “sandbag racks”, the idea was to set off the hollow-charge warhead too far from the main armor to penetrate it. Even today, the “sand skirts” on most MBTs also serve to pre-detonate hollow-charge RPG warheads. Spaced and “Burlington” armor on turrets makes them pretty much invulnerable to RPGs, but a hollow-charge rocket can still break tracks, blow off road wheels, or with a lucky hit penetrate the lower hull side. Even modern tanks are not invulnerable. Future ones probably won’t be, either; see the “Hammer’s Slammers” stories by David Drake. Nothing worries the commander of a 175-ton, iridium-armored, fusion-powered hovertank quite as much as an infantryman with a “buzz-bomb” launcher (roughly equivalent to a MILAN, from all indications). The only really sure way to solve the problem is to kill every enemy infantryman on the battlefield. Armies have been trying that for over five millennia, with a notable lack of success. You would therefore have to win by MURDER! And that would be against the rules because indiscriminate slaughter would encourage the other team to arm their medics and summarily execute you if they captured you alive… Or am I wrong? Originally they were as a Anti-Anti-Tank rifles measure – to enhance protection against PTRS and PTRD. Each weapon lead to introduction of anti-weapon. All tanks, previous, current and future can be damaged by anti-tank mine. If this or that mine fail that mean that mine with more RDX is needed. In fact mass of current tanks is caused by transport limitation. Technically it is possible to build 175-ton, but how you want transport it to combat zone? In Drake’s stories, the mass of the “panzers” (as they call the hovertanks), is due to their armor being a multiphasic layered composite over a hull and turret of cast iridium alloy. They are about the size of a Challenger II or Abrams, but mass nearly three times as much simply due to the density of the hull/turret castings. They also have a fusion powerplant, which even allowing for advanced materials for shielding is heavier than an equivalent-sized IC engine. As for moving them…lowboys. Big ones. Which also act as tank-recovery vehicles, because broken-down ACVs can’t be towed. Drake was a combat intel officer attached to an M-48 unit in Vietnam, so he knows a good bit about tank ops. He explains the genesis and logistics of operating what are basically fusion-powered, hover-propelled King Tigers with directed-energy weapons instead of 8.8cm guns very well. Eon, German side-skirts were intended vs Soviet 14.5mm ATRs and delay fused HE they used a lot in 1941-42 due the shortages of AP. Also modern tanks are quite vulnerable to the RPGs (any post mid-70s warhead) at side skirts (unless having heavy skirts, and even then they would not protect vs PG-7VL/RPG-26 and PG-7VR/RPG-27/29 as was evidenced in Iraq). Those can also penetrate side turret w/o much problem (also happened in Iraq). Not at all effective against the Panzerfaust. It would be effective if the case detonated the warhead prior to it hitting the tank, because it’s squib of hot metal traveling at speed would cool and slow down dissapating the potency of the strike against the armour. HEAT does not work that way. 1. Jet is not “melted”, it is super-plastic. It’s temperature is too low to melt copper, let alone steel used in Panzerfaust liner. It interacts as liquid (as does everything at those impact velocities), in effect being same as high pressure hose vs sand. 2. Residual armor behind skirts (30mm) is too little to stop residual penetration. Even with 600mm standoff PzF could still penetrate ~5cm of armor. No, they shortfuse (older) RPG-7 rounds by squeezing them between bars preventing them from fusing. If a round fuses it will penetrate, cage or no cage, modern (mid-70s and on) rounds are very little affected by additional standoff, especially vs light armor (LAV/Stryker/BTR etc). Slat armor works in ~50% cases, which is excelent for relatively little weight. Hmmm, I sort of understand… Well I can see what you mean, in regards the rounds being caught… So, the cage removes the velocity… The round has an impact fuse, but will detonate regardless after a certain amount of time right. Would you mind explaining this in regards how it differs from a Rpg43 grenade which is thrown, Bojan in relation to super plastic etc? Pdb, no, the idea of slat armour is to actually neutralize the fuze on the warhead itself because of its design. The similarly designed fuzes on the PG-9 projectiles from the SPG-9 and the BMP-1’s gun interact similarly. 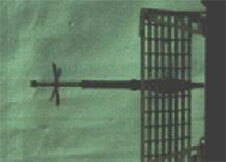 Slat is purely designed for these projectiles, and is not effective against any other HEAT warheads. Harry, while I fully agree with your observation regarding the dangerous backblast, Panzerfaust did not have a rocket motor. Its a gun working on the Davis principle, accelerating the projectile forward, and a counter-mass backward. Davis guns firing a rocket assisted projectile came much later, Soviet RPG-7 being the first in wide use, as far as I know. Germany only got it in the seventies with the improved version of “leichte Panzerfaust” called LANZE, and its current Panzerfaust 3. The designer of WW2 German Panzerfaust was Heinrich (Heinz) Langweiler of Hasag. Is it propelled in it’s entirety, essentially by an initial charge of gunpowder as in an Rpg7 only without it’s rocket motor. The gunpowder being contained in the propellant tube behind the warhead, which burns out inside the launch tube before said bomb with the propellant tube leaves. To avoid burning the firers face, on the Rpg 7 it’s the same thing only there’s a rocket motor in the propellant tube behind the warhead which ignites at a safe distance from the firers face with the initial gunpowder charge being contained in a separate tube you attach to said rocket. A spring would do the same thing i.e. Save the firers eyebrows but it would need to be pretty big, the launch tube has an arrow with some Gerry speak next to it at it’s rear probably saying watch out for the backblast. The backblast would be similar to a Rpg7 presumably as it also uses gunpowder, depending on the amount. The Russians probably had tough knees though by 1945, it’s not entirely behind the rear of the tube… Probably a staged photo etc, you’d imagine it would at least singe his trousers if he fired it from that position. So you might well be able to fire it from that position relatively safely, he looks pretty tough. And doubtless he’d know which positions it could be fired from, having done it. A fire jet, might scorch him through his trousers a bit but most of it would torch the mud perhaps. He’s firing them in war, trying to blow up a tank that doesn’t like you. Thus providing your not stood behind it, being less safe than on a range is possibly the order of the day so to speak. Odd. I thought the “rocket” charge was burned up before the projectile was on its way out. Otherwise the user would get a burnt face. Noooo, that’s a common misconception. The spring was for the spigot which also acted as a firing pin, igniting a charge at the rear of the head of the projectile, inside the tube that the spigot passes through. The PIAT is a spigot mortar with a spring-loaded spigot, not a spring-powered bomb launcher. Abcab. Beat me too it. This misconception about the Piat is hard to eradicate. full in his face? There is also a Finnish movie about the continuation war where a Finn holds one wrong and does terrible things to his torso. Or you can just use the Bofors Bill method; have the warhead of your ATGW round aimed not straight ahead, but at about a 60-degree angle to the line of flight, with the guidance system keeping that side of the rocket aimed at the ground. When the rocket passes over the top of the turret about 20-30 cm above it, BOOM. That is better, clearly he he. in 70ies west german grammar school chemistry curriculum included mixing (and setting off) thermite, improvised explosives and diy napalms. east german schools had mandatory wehrkunde classes, with topics like rpg handling or ak47 maintenance. for the lads AND the lassies. and plenty panzerfausts ready-to-go in the arsenals on both sides. Are you German, guest. What does this say out of interest? http://forum.axishistory.com/viewtopic.php?t=94086 Vorsicht is caution seemingly, in regards the picture referring to backblast. This label appears to be on the one in the picture on this Russian fellow has, you can see the German helmet picture on the warhead. I can make out some words, mit-with, der,die,dem-The, ist-is, kopf-head, German is sort of back to front though isn’t it if I remember, we’d say attach the head as oppose head attach for example, quite abrupt isn’t it really German. This 5th point is actually not properly readable in the first picture, it has typos in almost every word here and renders the actual verb unreadable. It doesnt say anything about the backblast at all. Which would be bad. I don’t think either Cold War German government wanted the whole country to become post-atomic wasteland, since the German people would be the immediate (and only) losers. Considering what happened to Japan when nuclear weapons were deployed, one would think that wishing such devastation and post-nuclear-bombing trauma upon one’s enemy would be the last thing on the list of things to do, if one’s enemy is capable of inflicting the same damage upon one’s own self! Okay, this is going to get silly fast. Given a choice, what will you do if you’re in command of a Panzer IV Ausf. J overloaded with civilian refugees fleeing the incoming Soviet horde? Remember that in this case, you are just one tank with no form of support!! AAAAAAAH!! 4. Get the Soviets to chase you and have them accidentally hit the conveniently nearby American tanks by mistake! 5. Kidnap the Soviet commander and hold him hostage (tie him to the muzzle of the tank’s mine launcher)! 7. DO WHATEVER!! WE’RE LOSING!!! This activity is totally voluntary. It has absolutely no ties to the “National Socialist Party.” Please keep any and all criticism of this post humane and free of foul language. According to my uncles who were in Patton’s 3rd Army, Wehrmacht SOP under those circumstances was to find an American or British unit to surrender to, fast. No Germans wanted to be captured by the Russians if they could help it. One time, an entire town in Thuringia surrendered to my one uncle’s troop of four Shermans. When he asked the mayor why, the reply was, “The Russians are about ten kilometers (six miles)that way” (pointing east). Well, eon, in the case of “The Return of Hans,” the Panzer IV sped towards an American armored column during the climax of the story while fleeing 29 T-34-85s (after having disabled one of them). Before the German tank crew (consisting of Hans, his captain, a girl with whom Hans falls in love, and the girl’s grandmother) and all the civilians they picked up could surrender to the Americans (whose commander thought the group was fleeing a wild west Indian attack), the Russians opened fire, missing the Panzer IV but hitting a Sherman in the frontal turret armor and knocking the command jeep on its side, prompting the now very pissed-off Sherman column to “return the favor” to the Russians. The Germans snuck away while the “friendly fire” battle raged, seeing as nobody was in the mood to accept surrenders. I was going to say, try and get them to hit the American tanks. There is a story about an officer who showed how to use it but who had been unfamiliar with the German word for “back blast.” He lied down on the ground and put the Panzerfaust on his shoulder and fired. …And then he needed a new pair of pants and boots. There are also stories of soldiers putting the tube of the faust against their shoulder when firing it. I’ve read in more than one place over the years that the Panzerschreck was based on USA Bazooka’s captured in Tunisia. Who was Ilya Amelin? What did this guy do to have has name be attached to this picture? That’s the star medal I think, it also has a picture of the woman aforesaid. Shanina was buried under a spreading pear tree on the shore of the Alle River—now called the Lava and was later reinterred in the settlement of Znamensk, Kaliningrad Oblast. I meant fair play because she dropped a load first, disembowlled that’s why I am not in favour of women infantry troops bad for everyones morale disembowlled. Mind you war, shoite happens. That’s his other badge, and him. Says he popped a self propelled gun with one in Niklasdorf apparently, on that photo. That’s apparently in Sudetenland, which I think is in the Czech republic these days. He must have done a similar amount of damage anyway. The seamless tubing was a strategic material and it was discovered that the tubes could be reloaded up to around 10 times each. (Plus or minus Im sure.) Soldiers were awarded 3 cigarettes for every reusable tube recovered, which were then transported back to the factories for reloading.